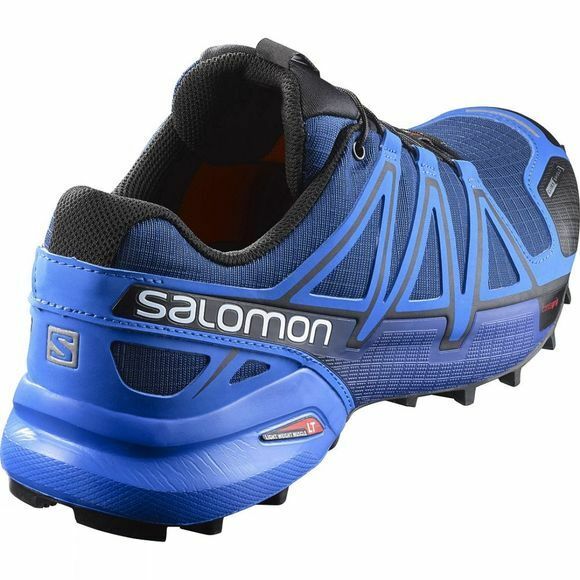 The Salomon Men's Speedcross 4 CS Shoe is an aggressively lugged trail runner for tearing through technical, soft ground with speed. 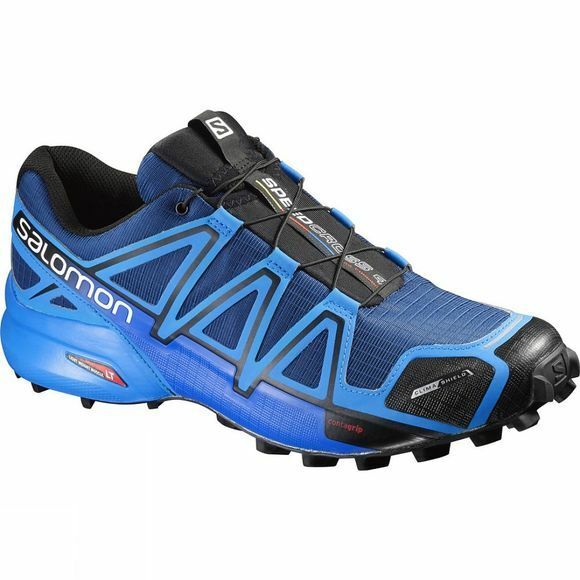 Up the tempo in a shoe that gets to grips with the most challenging landscape, giving you optimal foothold without compromising on comfort. The SensiFit system cradles your foot, providing a precise and secure fit. Minimalistic and strong, the Quicklace system allows one-pull tightening, making the shoe easy to get on and off. A lace pocket provides easy storage for the excess lace. Anti-debris mesh prevents debris getting trapped between your foot and the footbed, while a Climashield lining provides breathabile, quick drying water resistance in the forefoot area.